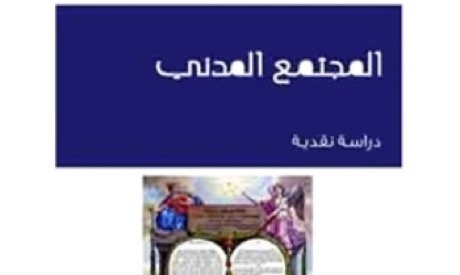 Al-Mogtama Al-Madani (Civil Society) by Azmi Bishara, Cairo: The Arab Center of Policy and Research Studies, 2012. The Arab Center of Policy and Research Studies has released a sixth edition of Azmi Bishara’s famous book, Civil Society. The book's value and relevance are only increased today in the midst of the Arab revolutions, which have restated the importance of the concept, effectiveness, and role of civil society. The book discusses the idea of civil society and the historical conditions for its emergence, notably the separation of civil society from the state, as well as concepts of the nation, nationalism, citizenship and democracy. The book is primarily a theoretical work in which the author attempts to retrace the history of Western political thought in the context of the social shifts that have accompanied and affected its evolution. In addition, the book offers a critical deconstruction of the concept of civil society, after it had become widespread and over-used in daily writings, causing it to lose its explanatory value and critical effect, making it synonymous with the concept of the national society. Bishara lists the functions of civil society, which necessarily lead to democracy, arguing that civil society has a history that is linked to politics and the economy. The author concludes that civil society is an intellectual and historical process leading to full-fledged citizenship and genuine democracy. This sixth edition also includes an expansive new introduction by Bishara in which he recounts the history of the emergence of the idea of civil society in the Arab world, arguing that it spread during the 1990s as a form of compensation for the Arab intelligentsia withdrawing from politics due to the retreat of leftist and nationalist ideologies.